The police have foiled the attempt of a 44-year-old bricklayer, Mukaila Alatunse, to kidnap his neighbour, Precious Ogundiran, a student. A role model is a person whose behavior, example, or success is or can be emulated by others, especially by younger people. 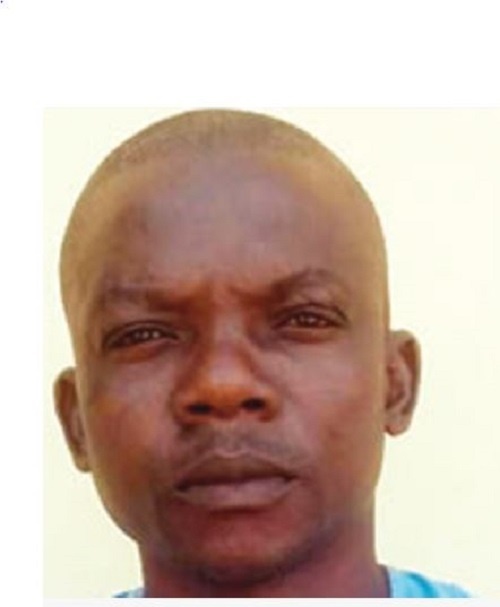 For 44-year-old bricklayer, Mukaila Alatunse, he went into kidnapping business because of the 'achievements' of the arrested kidnap kingpin, Chukwudidumeme Onuamadike aka Evans. His first attempt at his new found money spinning business, however, ended up in failure as he was arrested in his bid to kidnap his neighbour, Precious Ogundiran, a student. It was gathered that Ogundiran lives with her parents at Lemode, in the Ijoko area of Ogun state and is the only child of the family. Alatunse was said to have discussed his plan to abduct Ogundiran with a vigilante in the neighbourhood, telling him that they could get as much as N5m ransom from her parents. It would later turn out that the vigilante played along with the father of seven, and later divulged the kidnap plan to Ogundiran’s father, a lecturer at the National Open University of Nigeria on Victoria Island, Lagos State. The father was said to have reported the case to the police at the Agbado division, leading to the arrest of the suspect on Monday. The native of Ikire, Osun State, owned up to the botched kidnapping, saying he took to the crime after hearing the news of how the notorious kidnapper, Chukwudumeme Onwuamadike, aka Evans, made millions of dollars from kidnapping. Alatunse said things had been difficult for him and his family in the last three months and that he wanted to use the ransom to assuage his suffering. “I have seven children with two wives. One of my wives died recently and I don’t have money to take care of the children. This is the first time I would attempt kidnapping. I am appealing for mercy,” he added. The Ogun State Police Public Relations Officer, ASP Abimbola Oyeyemi, said further investigations on the case would be carried out at the command headquarters in Abeokuta.